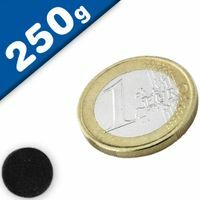 Ceramic Ferrite round circle magnets can be fixed in place using adhesive or can be pushed into circular drilled holes in wood or plastic. Ferrite as a material has a very good resistance to corrosion and has a high maximum operating temperature making it a very versatile magnetic material. 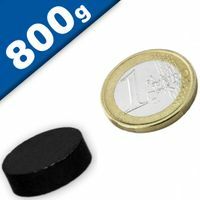 Ferrite disc magnets are commonly used in fridge magnets and for craft making. 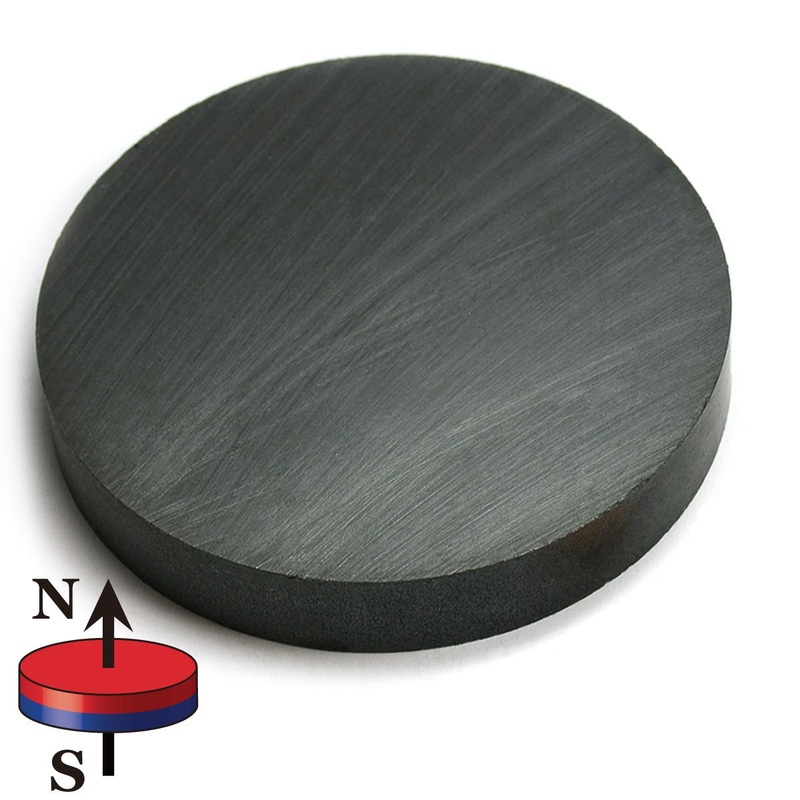 All ferrite disc magnets have their north and south poles on the even circular surfaces (axial magnetisation). Ferrite disc magnets, also called ceramic disc magnets, come in a variety of sizes, as a low cost magnetic material they are to be found across a broad range of magnetic therapeutic uses, on the back of three dimensional fridge magnets and in school science projects. 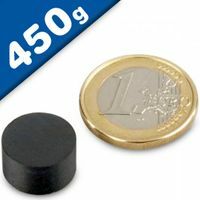 Ferrite disc magnets can be fixed in place using adhesive or can be pushed into circular drilled holes in wood or plastic. 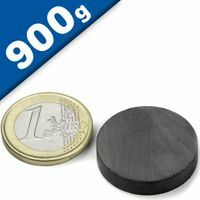 Ferrite as a material has a very good resistance to corrosion and has a high maximum operating temperature making it a very versatile magnetic material. 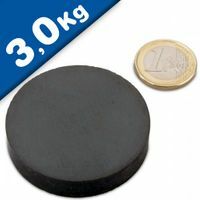 Ferrite disc magnets are commonly used in fridge magnets and for craft making. 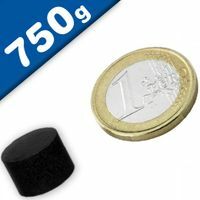 Buy ceramic disc magnets on-line today! 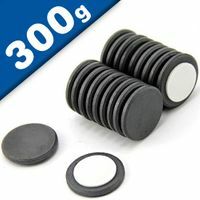 We carry a large inventory of ceramic disc magnets, available in a wide range of sizes, not all of which are shown on this website. 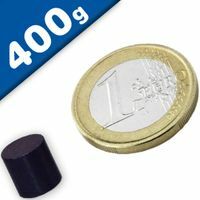 Ceramic magnets (also known as "Ferrite" magnets) are part of the permanent magnet family, and the lowest cost, hard magnets available today! Ceramic magnet material is comprised of iron oxide & barium or strontium carbonate. Ceramic disc magnets exhibit relatively good holding strength, making them the popular choice for many consumer and commercial applications. 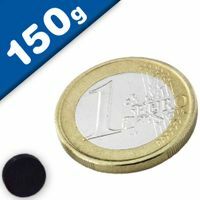 Ceramic magnets are popular magnets for crafters, used for arts and crafts as well as modeling projects, as refrigerator magnets, science projects, POP displays, signage, jewelry clasps, furniture parts, motor components and much more. Ceramic magnets can be custom cut or machined to your exact requirements, using our in-house manufacturing facilities and experienced team of engineers. project.